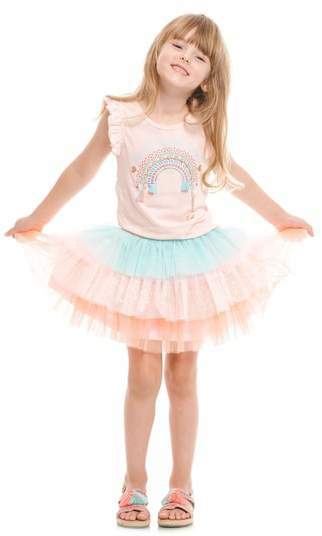 A rainbow of braids, shapes and glitter brightens the front of a fun-to-wear tee cut from a comfy cotton blend and styled with ruffled cap sleeves. 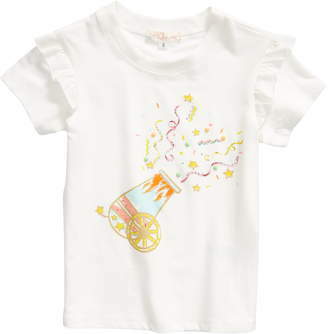 Style Name:Truly Me Love Glitter Embellished Tee (Toddler Girls & Little Girls). 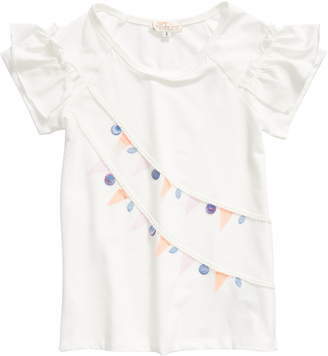 Style Number: 5580195. Available in stores.